However, the second thing I’ve learned from watching Oracle/customer relationships over the years is there really are limits to what customers will put up with and when hit, action is taken. Eventually, a customer will focus on the “Oracle Problem” and do the work to leave the unhealthy relationship. When they do, the sense of relief in the room is absolutely palpable. 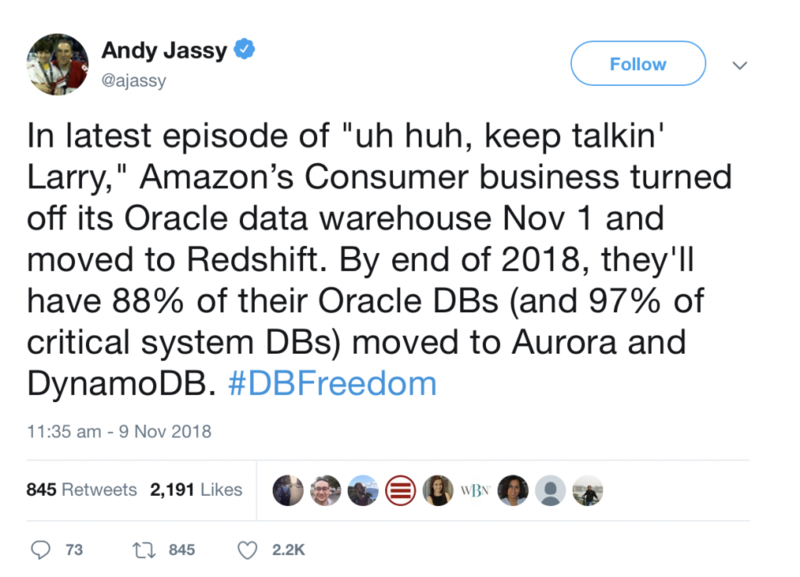 I’m super happy to have been part of many of these migrations in my near-decade on each of IBM DB2 and Microsoft SQL Server. It’s fun when helping to make your product work for a customer not only helps your company but also helps the customer save money, get a better product, and no longer have to manage an unhealthy supplier relationship. 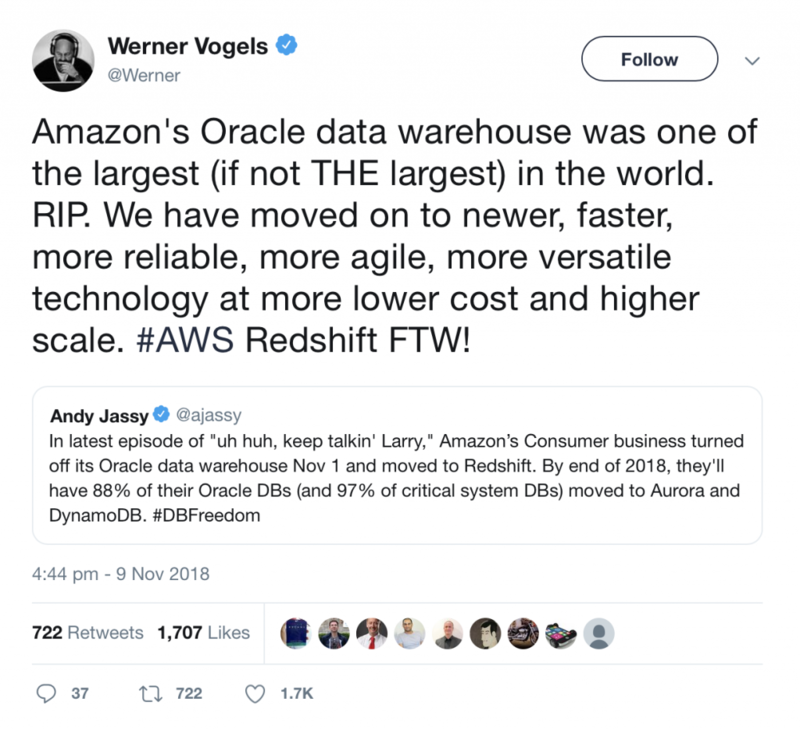 Its widely accepted that Oracle’s over-developed and highly aggressive sell-and-be-damed has become a burden for many customers. Infrastructure professionals, in particular, have a special indifference for Oracle products as we have often been blamed for the regular failure of Oracle products and solutions. So it refreshing to see a company bigger and uglier than Oracle hand out some grief. I do believe that Oracle could be a leading Tier2 cloud provider but desperately needs to modernise its culture. Its not the 1990’s greed-is-good anymore, subscription revenues depend on trust and partnerships where any damage done to the relationship lasts long past the initial deal.